food at The Kitchen Bar. Have you got Google Earth on your computer? If so, then download the Google Earth Map of The Kitchen Bar. Is this the wrong position for The Kitchen Bar? If you think so, then modify its position. Had lunch in the Kitchen Bar with family. I was extremely impressed by the prices of the main meals and the quality of the food. The menu was varied too in order to cater for all tastes. There was a great, friendly atmosphere. I will definately be back. 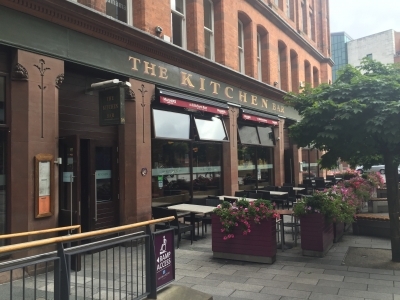 The best quality and priced food in Belfast.